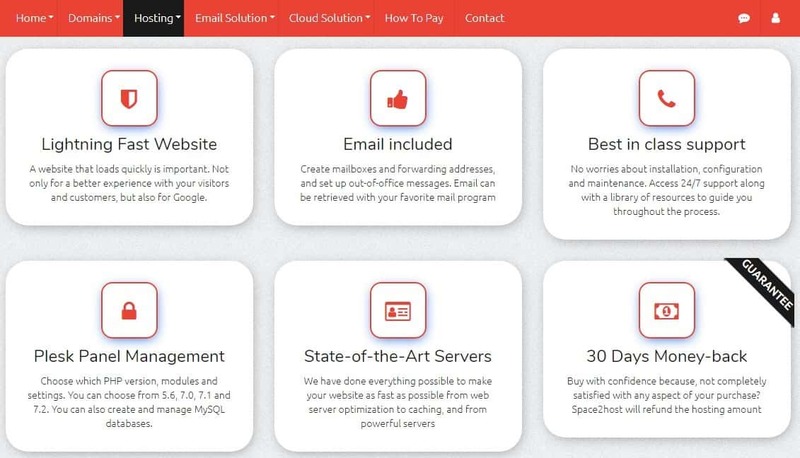 Space2host Review 2019: Is Space2host a Good Hosting? Space2host has been in the web hosting business for more than 18 years. The vendor is located in Chennai, India. With its robust network of data centers across the globe, the vendor is well-equipped to offer shared hosting, reseller, and WordPress hosting solutions. Space2host is a web hosting provider founded in 2001. The vendor is privately registered and specializes in the provision of shared and reseller solutions. With more than 18 years in the web hosting industry, Space2host boasts of a client base of over 10,000 worldwide. The vendor’s hosting services are offered from several data centers in a number of countries including: India, Singapore, U.S., Germany, and Finland. Space2host servers are housed in state-of-the art data centers located in seven countries. Each data center has 100Gbps of uplink where each cloud instance is powered by 500Mbits/s. The vendor uses MaxIOPS storage and LiteSpeed technology on its next generation servers for faster loading of the websites it hosts. In addition, Space2host uses a range of caching techniques which ensure that, in addition to increasing loading speeds, the websites they host are better able to absorb peak loads. Space2host uses the CloudLinux operating system to ensure that its servers have the capacity for maximum load balancing. Moreover, its servers use isolated containers technology to deliver better security to its clients’ websites. Its virtual servers are connected to high speed network channels with static IP and use both Linux and Windows OS platforms. With these two platforms, users have the option to install Linux CentOS, Redhat, Ubuntu, Debian, Windows Server 2008, and other supported operating systems. Space2host offers daily and weekly backups as part of its SQL server solution and weekly snapshot backups for its cloud server solutions. 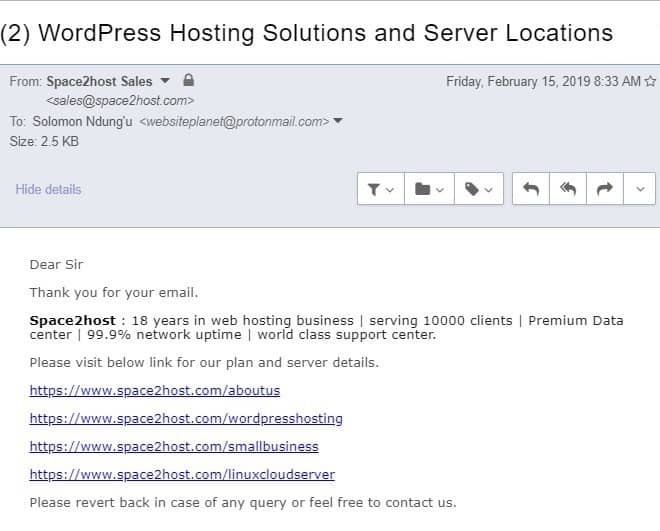 The vendor also offers backup services for its WordPress hosting, but does not say whether they are performed on a daily or weekly basis. The vendor’s other hosting solutions do not include a backup solution. All the same, it is important to note that Space2host does not avail its backups to its customers on a per-user basis. Space2host offers SSL certificates as a separate solution that users can buy. It offers SSL certificates from popular provider, Comodo. Available certificates include PositiveSSL and EVSSL. Space2host hosting plans are competitively priced. The plans come with flexible billing cycles that include monthly and yearly subscriptions. The vendor offers a 30-day money-back guarantee and a 100% uptime guarantee with a promise to pay you back 50 times for any downtime that lasts more than five minutes. You can get in touch with Space2host via telephone, email, and ticketing system. The vendor has not availed a live chat on its website. Its customer support team is available 24/7, and are polite and quick to respond. When I sent them an inquiry via email, they responded in less than 12 hours. 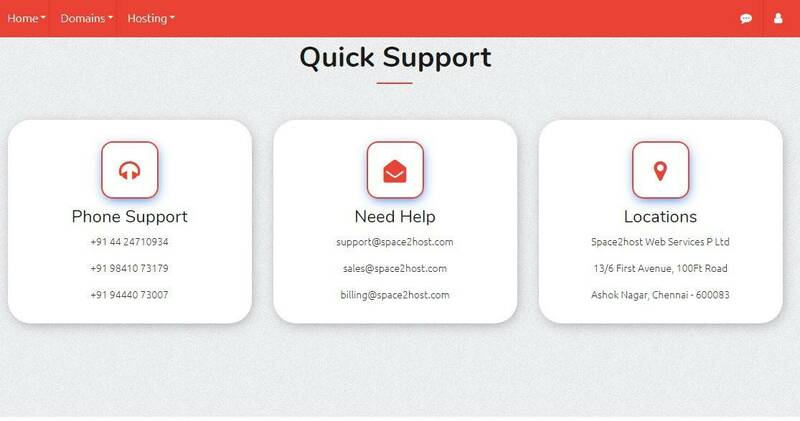 Unfortunately, Space2host has a limited knowledge base, so you’ll likely need to contact support for any assistance required. Space2host uses seven data centers and its use of advanced hosting technologies has made it stand out in the Indian hosting industry. It’s reasonably-priced hosting solutions are especially endearing to small businesses and startups. Wondering how Space2host stacks up against other Web Hosting companies? Enter any other Web Hosting company and we will give you a side-by-side comparison.